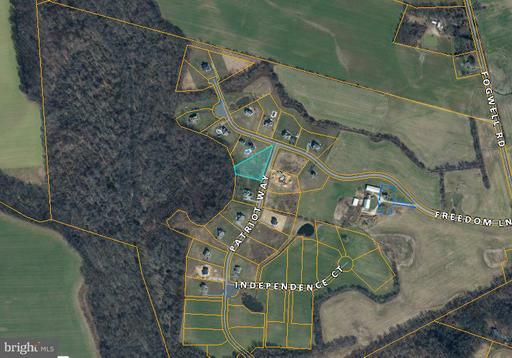 Enjoy Eastern Shore living on this beautiful 1.25 Acre lot. Build your dream house! Easy access to MD western shore, Easton MD, and Delaware. Rt 301, Right onto 304 (Ruthsburg Rd), Left on Fogwell Rd, Left on Freedom Lane, Left on Patriot Way. The approximate monthly Principal & Interest payment for this property would be $450. This payment is based on a 30-year loan at a fixed rate of 4.12 % with a down payment of $8,990. Actual lender interest rates and loan programs may vary.